We would like you to refrain from talking on your cell phone in the library. 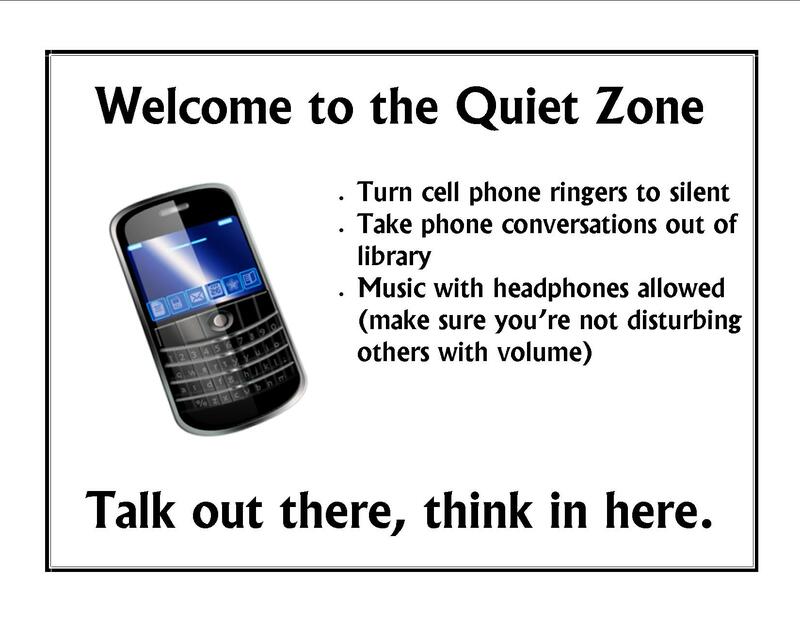 If you need to take a phone call, please do so outside of the library. Texting is okay, as long as you have the phone on silent.